"Two To Tango" Eyemakeup Contest - Divassence! Here’s a quick look at the prizes. So now that you’ve seen what’s in store for the winners here’s what the contest is all about. “Two To Tango” as you know is what I’ve named the contest and as the name suggests the challenge is to come up with an eyemakeup look which ONLY involves TWO eyshadows. You can use only two eyeshadows to create your entire eyemakeup, not more not less. Entries will be valid only if the following criteria are met with. Clear pictures are a must. Blurred pictures or pictures where the eyemakeup looks visibly edited will not be considered. There must be atleast 2 pictures of the eyemakeup done. A suggestion as to which blush or lipstick would be apt for your eye look should be mentioned. Must like Divassence on Facebook and subscribe to email updates (details and Rafflecopter form below). You can also share the link on your facebook wall and on twitter tagging 5 friends. Make sure you keep the visibility of the post public. This will give you 2 extra votes for every share from my side. You can send more than 1 entry. The more number of entries, the more chances of one getting selected for voting. From all the entries that are posted on the blog, the top 6 will be selected by the other contestants and then the top 6 would be up on Facebook for voting. Pictures of the eye with the makeup is sufficient. It isn’t necessary to send a full face picture. There will be two winners. When I announce the winners, the one who gets the maximum number of votes will get to select her prize and then the other one automatically goes to the entry with the second highest number of votes. The contest is open only to the residents of India. If you live outside India and would like to take part and have a valid Indian postal address then you can take part. The prize will be shipped to your Indian address. You may also like reading: Collective Haul! 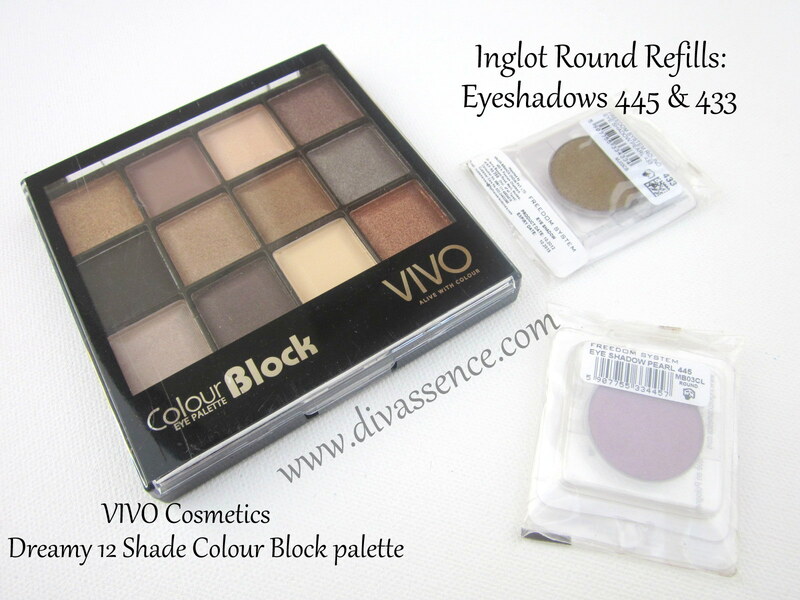 : Sleek, MUA, VIVO, Inglot and More! The contest starts today (1st August 2013) and ends on the 31st of August 2013 12:00 am. Then the contestants will be given 2 days to vote for their favourite entries (apart from theirs!!) and then the top 6 entries will be open to public voting for a week. The Classic Indian Bride: Eye Makeup Contest! Divassence’s Valentine’s Day Giveaway: Enter and win a MAC lipstick of your choice and other goodies! Luscious Lip Lives! contest: An Important Update! can an eye pencil be used separately like a kohl?? I usually don’t use mascara. SO i can skip mascara. right? And I am allowed to used only 2 eyeshadow and a kajal. right?